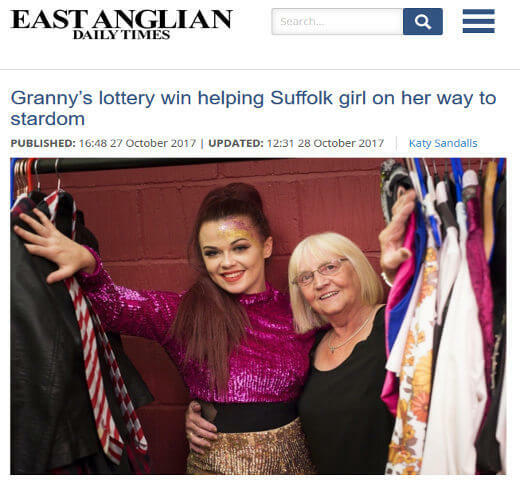 When Jean Swatman won £2 million pounds from the lottery in 2013, she wanted to find ways to help her grandchildren. One of the first recipients of her help was granddaughter Lauren Utting. She really wanted to make it big as a professional singer and dancer but getting the required training cost a hefty sum. Fortunately for her, there’s granny to give emotional and even financial support. Lauren has completed drama school largely through the help of Swatman and she has landed a job as an entertainer at a popular holiday place in the south coast. While she says she would still have completed the course without Swagman’s help, it would have required her family to pool their resources and she would have ended up with a sizable debt to pay. Swagman has also given cars, holidays, and houses to loved ones. She has also helped worthy causes, which has included the sports teams of her other grandchildren.